The Memorial Candle Program has been designed to help offset the costs associated with the hosting this Tribute Website in perpetuity. Through the lighting of a memorial candle, your thoughtful gesture will be recorded in the Book of Memories and the proceeds will go directly towards helping ensure that the family and friends of M. Sheila Ferryall can continue to memorialize, re-visit, interact with each other and enhance this tribute for future generations. 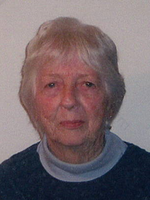 Margaret Sheila Ferryall of Dalton, MA, passed away unexpectedly at the age of 83, on August 29, 2018. She was born in Adams, MA on July 20, 1935, the daughter of the late Michael C. Connally and Mary Dorothy Haggerty Connally. She graduated from the former Adams High School in 1953 and went on to work in the Laboratory Payroll section of the General Electric Company from 1953 to 1958. She worked as a paraprofessional in the Central Berkshire Regional School system at Nessacus Middle School for twenty-six years. Sheila married the late Richard C. Ferryall on June 1, 1957 at St. Thomas Church in Adams. She leaves two sons, Charles Ferryall and wife Nancy of Newburgh, NY, and David Ferryall and wife Sondra of Port Charlotte, FL; four grandchildren, Shannon Contini of Pittsfield, Michael Ferryall of Tulsa, OK, Scott Gagnon of Newburgh, NY, and Eric Gagnon of Green Bay, WI; two great-grandchildren, Giada and Esmé Contini; and her sister, Kathleen Jerome and her husband William, of Pittsfield. She will be missed by her many nieces and nephews, and by her longtime friend and neighbor, Rosemary Boino. Sheila was a member of St. Agnes Parish in Dalton, where she was a member of the Rosary Society. She worked at the polls for the Town of Dalton, had served as a Den Leader for her son’s Cub Scout dens, and did volunteer work for the American Red Cross and Hancock Shaker Village. She enjoyed reading, needlework, making puzzles, playing cards, participating in exercise class at the Dalton Senior Center, walking and being with her friends and family. FUNERAL NOTICE: Funeral services for Mrs. Ferryall will be held, THURSDAY, September 6, 2018 with a Liturgy of Christian Burial at 12:00pm at St. Agnes Church, celebrated by Rev. Christopher A. Malatesta, Pastor. Burial will follow in Ashuelot Cemetery. Calling hours will precede the service from 10:00am to 11:45am at DERY-FOLEY FUNERAL, 890 E. Main Street, Dalton, MA. In lieu of flowers, memorial contributions may be made in her name to the Dalton Senior Center, in care of the funeral home. To send flowers to the family of M. Sheila Ferryall, please visit our Heartfelt Sympathies Store.